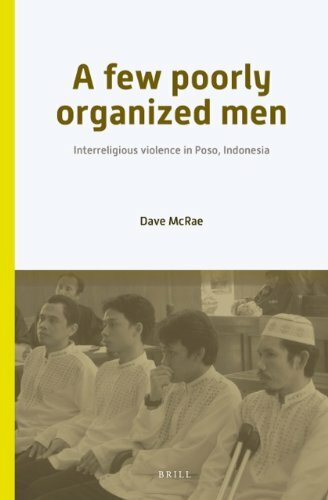 [PDF] A Few Poorly Organized Men: Interreligious Violence in Poso, Indonesia (Verhandelingen Van Het Koninklijk Instituut Voor Taal- Land, En Volkenkunde Vol. 285 / Power and Place in Southeast Asia) | Free eBooks Download - EBOOKEE! Posted on 2017-12-18, by luongquocchinh. Description: Nine years of violent conflict between Christians and Muslims in Poso from 1998-2007 elevated a previously little known district in eastern Indonesia to national and global prominence. Drawing on a decade of research, for the most part conducted while the conflict was ongoing, this book provides the first comprehensive history of this violence. No comments for "[PDF] A Few Poorly Organized Men: Interreligious Violence in Poso, Indonesia (Verhandelingen Van Het Koninklijk Instituut Voor Taal- Land, En Volkenkunde Vol. 285 / Power and Place in Southeast Asia)".